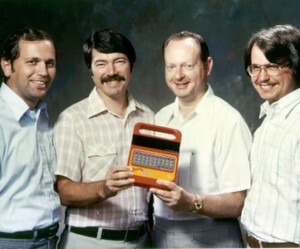 Texas Instruments Inc. introduces the Speak & Spell, a talking educational toy for children. The device features the first electronic duplication of the human voice on a single chip of silicon. It transformed digital information processed through a filter into synthetic speech and could store more than 100 seconds of linguistic sounds.